Big Data Technology provides perfect data analytics solutions to help in the growth of small and big enterprises. A decade back, the people who already had an account in a bank receive the several calls from the same bank’s sales rep to open a new bank account, or the bill payment reminders even after paying the bills. These are the glaring examples of the gap between customers and the organizations due to the lack of a centralized system where the unified view of data the employees will have enterprise-wide. Alas! The information gap is making the enterprises bleed. Being blindfolded, the decisions taken by the enterprises are always uninformed which results in negative customer experience and addressing the pain points becomes a hard nut to crack in. That’s where big data technology comes as good news for the enterprises. The big data provides consolidated data that works as a single source of truth for the enterprises. However, harnessing the real potential of the big data is all-important to visualize the data effectively and derive valuable insights out of the data in order to make the intelligent decisions. Here, comprehensive data analytics with big data steps in. Let’s understand it with an example, curating a cricket pitch to the player’s advantage can help the cricket player win the game, but according to the game format- T20 or One-day series, the cricket pitch has to be curated and prepared differently. 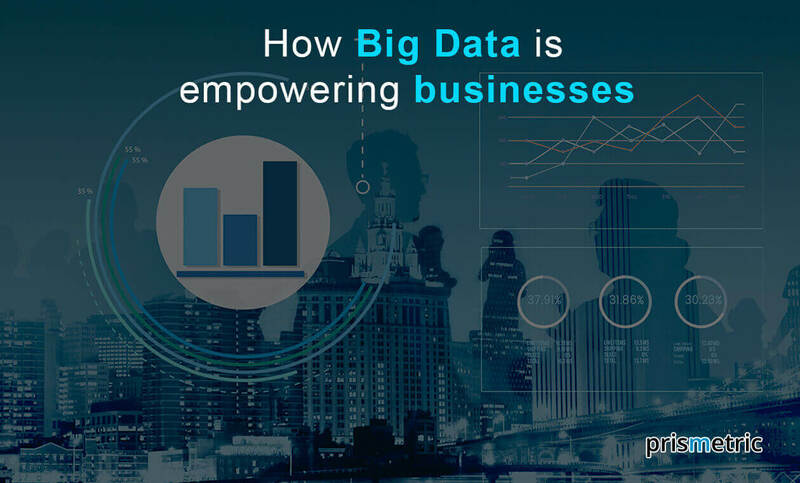 Similarly, big data enable the enterprises to get the data together in an organized manner, but only after using advanced analytics solution, the enterprises can understand the business requirements and can act on the data. It concludes the big data can be turned into big insights when big data is processed and analyzed in a timely fashion. The analytics discover and create a communication between the meaningful patterns of the big data, which enables organizations to meet stakeholder’s demands, manage voluminous data, create market advantages, manage risk, and improve organizational performance. It can be achieved only when advanced analytics technology is used in conjunction with big data. The myriad of the advanced analytics tools combined with artificial intelligence and machine learning are leveraged to dig deeper into the big data and unearth incredible insights, which makes the enterprise data-driven. The big data analytics by eliminating the intuition provide the stats that are purely based on the data. The reason is information is not stored in silos, instead, the central storage and unified view of all the enterprise data keep all the departments on the same page. The transparency brings a higher level of maturity in the decisions and ball is never thrown in the cord blindfolded. The structured approach with data-driven insights not just base the decision on data, while the decisions are tested against several variables to check its flexibility and scalability for the upcoming changes. The decision validation based on big data analytics ensures that the right decision is taken where favorable changes can be introduced, which makes the decision full-proof and future-proof. Every day 2.5 quintillion bytes of data is generated and 90% of the data is created in the last two years. It indicates the colossal amount of data that enterprises have needs to be tapped. The big data analytics helps in visualizing the data constantly, which in turn, aids in discovering the potential flaws or the inconsistencies in the processes and operations that are impacting the enterprise productivity. Or the unmet needs of the customers that are never realized. The key areas of improvements are actually the lucrative opportunities on which if the enterprises act smartly, it drives innovation and create new revenue streams. Also Read: How Enterprise Apps Improves Business Productivity? For instance, the banks are unaware of the customers’ banking products needs or the things that dissatisfy the customers prior to digitization and going big data way. But, post-digitization, the banks have loads of the customers’ data and the rich insights with comprehensive data analytics that tells which touchpoints are engaging the customers, which banking products the customers want, what’s the customer’s feedback for the banking services, and so on. The banks can take valuable insights as the opportunities to delight the customers, sell more and increase the ROI. Every B2C enterprise builds the products for its customers and expects it to be equally liked by the customers. But, it’s not the case always. The reason is the new and existing products are not created wearing the customers’ lens. The big data analysis provide the customers’ lens to the enterprises for customizing the products and services in accordance with the customers’ preferences and expectations. Gaining the customers’ insights about the products and services through analytics enable the enterprises to tailor the products and services the way the customers’ demands to maximize their impact. It’s a customers age where the customer personalization is a trend and the enterprises are already approaching the customers in a personal way, which means if you are not in the boat, soon your business will be out of the market and customer’s mind. Well, traditionally, it’s impossible to treat the customers in an individualized way, but big data analytics unfolds the unimaginable information which enables the enterprises to communicate with every customer in a unique way. For instance, the technology analyzes every micro-interaction of the customers at the E-commerce store and based on the browsing patterns and items added to the cart, the personalized messages are sent to the customers. The tailored notifications like- recommendation to buy the product that’s viewed recently, offers for the product browsed, the reminder for the products added in the cart, or the arrival of products that were previously become out-of-stock makes the customers feel valued. The customer personalization increases the sales, cross-sell, up-sell, and revenue by a large amount in addition to improved customer experience and engagement. 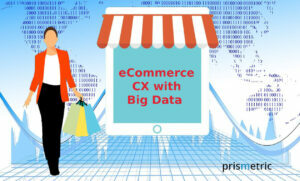 Also Read: How Enhances E-Commerce Customer Experience With Big Data? The big data technology works wonder in scanning all kinds of internal threats and external attacks to the complete enterprise data due to some loose ends or potential leaks. When the enterprise is dealing with customer’s financial information, then safeguarding the sensitive information by following regulatory requirements and continuously performing risk analysis is all-important. With predictive analytics, the data is regularly analyzed for the security vulnerabilities and they can be quickly spotted to diminish the adverse effect of a data breach. The technology is bringing security intelligence to the data that helps in finding rogue users in a couple of seconds. The high level of data security never let the enterprise incur a huge loss in terms of customers’ trust, reputation and financially as well. Outperforming the competition is an only way to seize an edge in the market and stay on the top of the customer’s mind. This is feasible when the enterprise continually innovates by capturing the dynamic market insights. The big data with predictive analytics identify the emerging market trends, unearth the industry insights, and provide incredible information to meet the customers’ desires, which gives the businesses a golden opportunity to leapfrog the competitors. For instance, the enterprises gain the business intelligence from big data that the product most sold in the last holiday season is still in the demand, which indicates the product is still trending. When the little changes in the product are warmly welcomed by the customers, it’s a sign that offering a discount on the product in the upcoming holiday season would certainly increase the product sell and the revenue. Also, analytics assists the enterprise in understanding the competitor’s strategy and considering the things that competitors have missed, the enterprise can skyrocket the sales. The technology progress has erupted a data deluge that’s growing day after another, which is an added advantage to the enterprises if they treat the data intelligently. 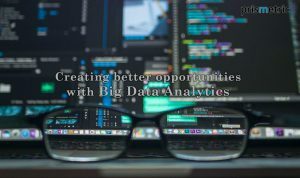 The forward-looking enterprises take the data as opportunity employing big data analytics technology to gain the actionable insights which help in making the right decisions, unveil the hidden opportunities, tailor the products and services, risk analysis and management, and gain a competitive advantage. The enterprises that show the reluctance to the shift to the data platform, they risk falling behind. 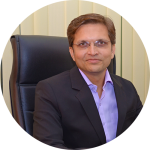 My two cents: Successfully execute the big data analytics strategy to enjoy its benefits and address the enterprise needs of today and tomorrow.